Please pray for the freedoms we have in this city and country to be upheld. Website home page http://www.liftjesushigher.com/ Look at the button on the right hand side that says WEEKLY BULLETIN. On the calendar so you have every archived bulletin you could ever want. 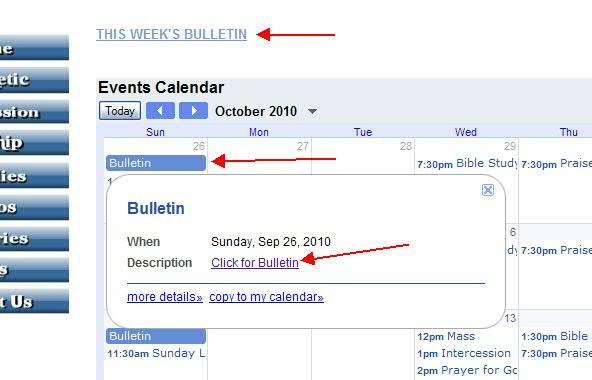 Just look up the week and click on the blue button that says bulletin. The Calendar-on-line also gives you all of the activities and when they are on and where. It is kept current. I hope that the tips above will help you navigate the web site. You are currently browsing the Lift Jesus Higher blog archives for October, 2010.